Contents : Special blend of Non Anionic Surfactants, Emulsifiers Increase in effectiveness of agricultural sprays through penetration & spreading Spreadfast is specially formulated spreading, penetrating and dispersive media for use in agricultural sprays. Due to its faster spreading nature, the spray is uniformly spread over the plant surface. 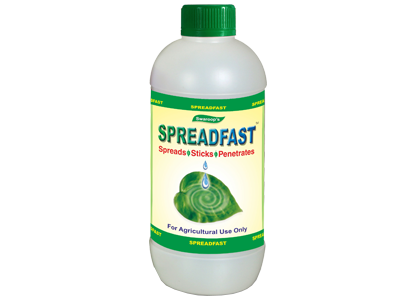 This action of fast spreading is due to the fact that the non anionic surfactants present in Spreadfast reduce the surface tension on the plant surface as a result the sprayed solution is prevented from making a droplet on the plant surface. 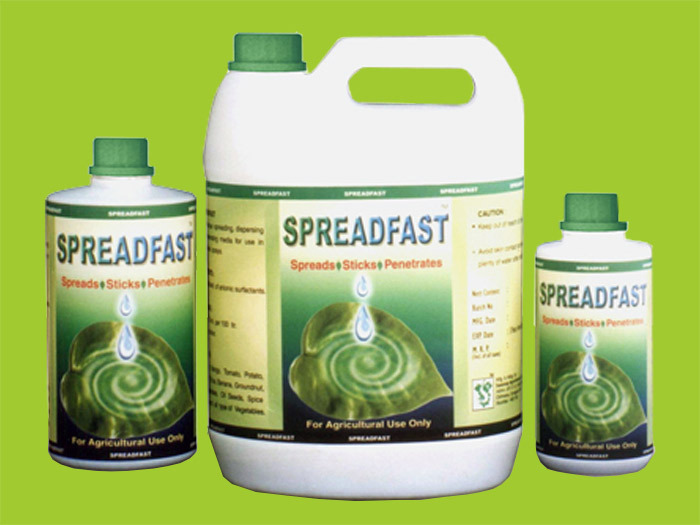 Striker spreads rapidly on leaf surface providing wetting , sticking & rain fastness effect. Dosage : 0.25 to 0.50ml Striker per litre water .